About Hard Bar Soap Co.
Nordic Media > Blog > About Hard Bar Soap Co. Working in the health care industry, Tyler has always been a firm believer and passionate about living a healthy lifestyle. He believes that in order to achieve good results, you have to fuel your mind and body with good products. 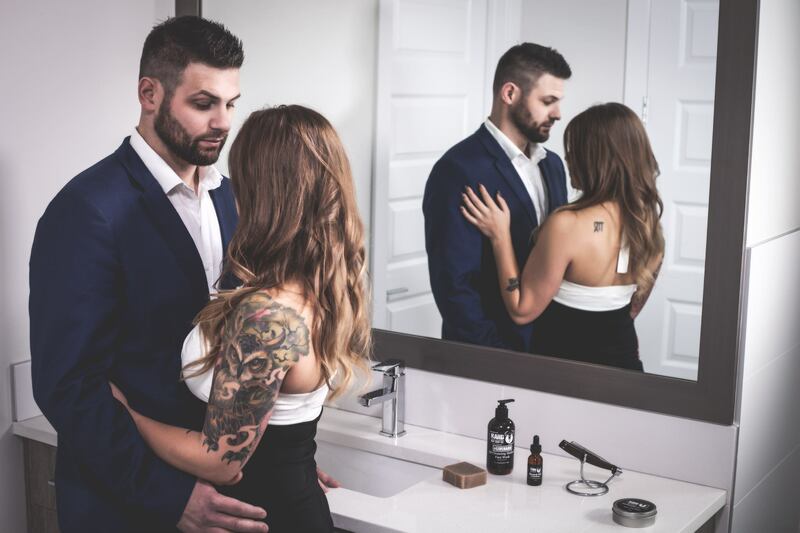 This is why he was so passionate to create a line of organic, handmade, natural and great smelling grooming products for men. What you see on the label is exactly what’s in it. Nothing else. 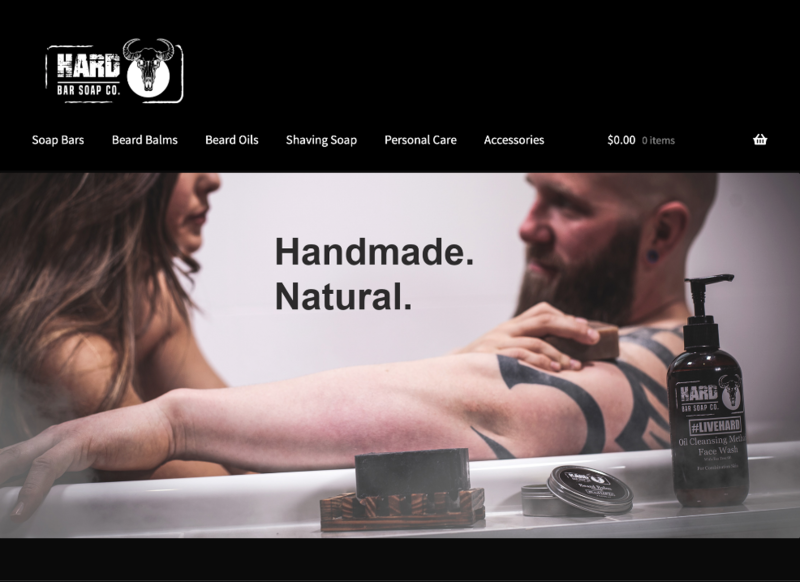 We created Hard Bar Soap Co. for men looking for a new, fresh, and natural line of products that is great smelling and great quality. It’s terrifying to think about everything that our skin has to go through on a daily basis. The surfaces that it has to deal with, the cuts and scratches, and, not to mention, all the harmful chemicals. Instead, Hard Bar Soap have ingredients that have been researched to be safe and compatible with your skin. Using natural and organic products, we know exactly what we are putting on our skin. You do not have to worry about chemicals that you have never heard of and can’t pronounce, and what they might do to your body. Grooming and skincare are two things that everyone does on a daily basis, so we believe it’s vital to know what you’re putting on your body. By choosing natural products over potentially toxic options laden with harsh chemicals, you will get better results and healthier skin and hair. What’s bad for your body is also bad for the environment. Some guys assume that any product for sale at the drug store must be safe for them and the environment. Wrong! Tons of dangerous substances get washed down from sink drains every year, which end up in streams, rivers, groundwater and eventually, the ocean. By choosing a natural men’s grooming product, minimal damage will be done to the environment. You’ll get better results from organic men’s grooming products. And you will protect your health for years to come. We met with Tyler in 2018, through some local contacts in Edmonton. He had great aspirations on taking his brand of organic mens grooming products to the next level. With his passion and our creativity, we were able to develop new advertisements for Hard Bar Soap Co, and make his dream a reality. We developed four budget-effective image advertisements that showcased the cool, sophisticated, and attractive vibe of the product. The photoshoot was a lot of fun and we really enjoyed working with Tyler and Ashley as one of the sets of models. As well, we updated their existing website to make it a more direct sales site, employing more direct eCommerce tactics for consumers. We are a full creative marketing agency. Ranging from video production, website design and managing various social media platforms. We take pride in everything we work on. Let us know how we can help you today!